I stayed at several hotels while in Hong Kong. My room in the Metropark Hotel Wanchai had a really cool and hip look, and the staff was friendly, but the hotel was damp and had the worse mildew smell of any hotel I’ve ever stayed in. To make it even worse, the hotel staff was trying to cover the mildew smell with heavy use of air fresheners that just made things worse. Just to show how damp and humid my hotel room was, I took a shower in the afternoon after checking in, the next morning there was still water drops covering the floor of the shower. I checked out after one night with clogged sinuses and a headache. 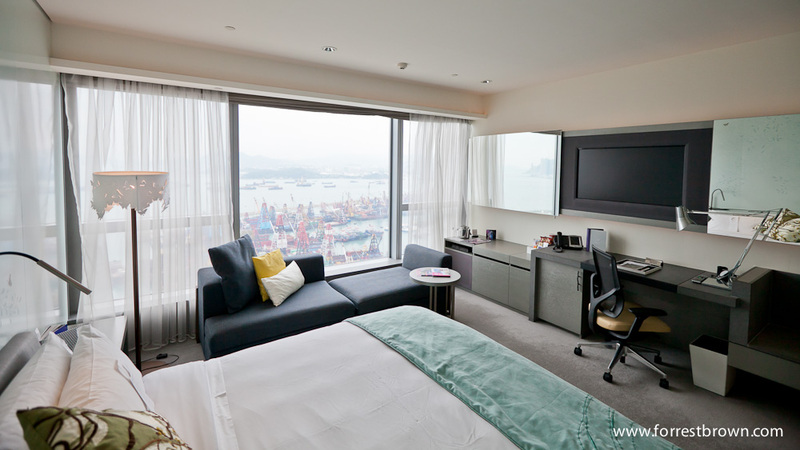 I had a suite at the Renaissance Hong Kong Harbour View with nice views of Victoria Harbor. Fairly traditional room, nice with not a lot of flare. Starting to show a bit of wear. 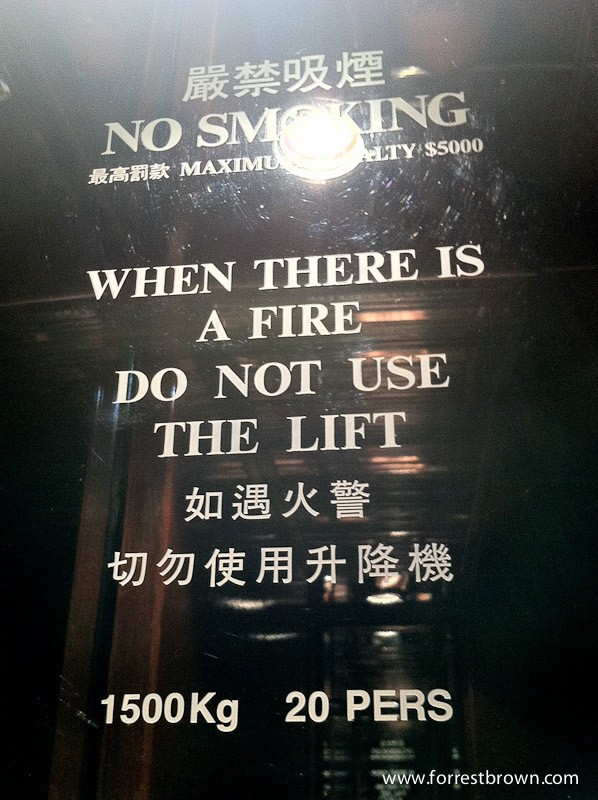 The hotel seems pretty sure there's going to be a fire. Maybe I should have been worried. 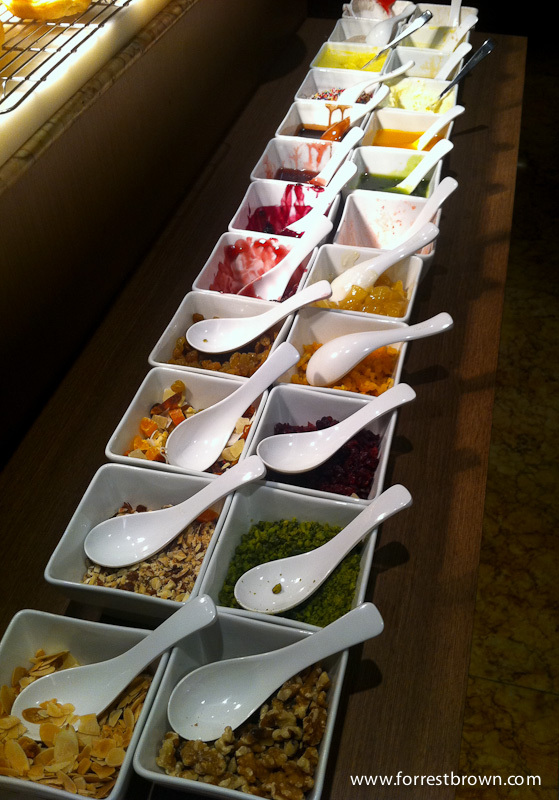 The Renaissance Hong Kong Harbour View had an amazing buffet breakfast with an incredible amount of choices. This is just the toppings for the freshly made waffles and pancakes. 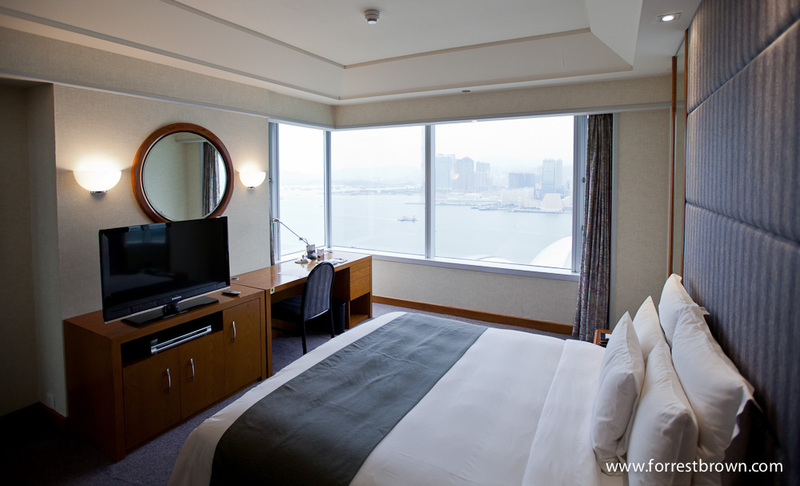 The W Hong Kong was nice, but the use of the W Signature Scent in my room seemed a bit heavy. 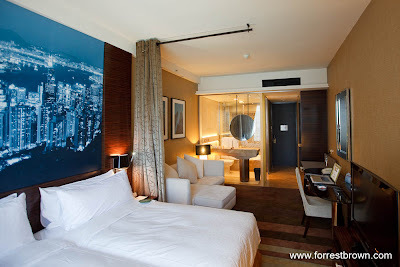 I also stayed at a W Hotel in Taipei on this trip and didn’t notice such a heavy use of the W Signature Scent. It seemed like the staff at the W Hong Kong were trying to cover up a mild mildew smell problem. 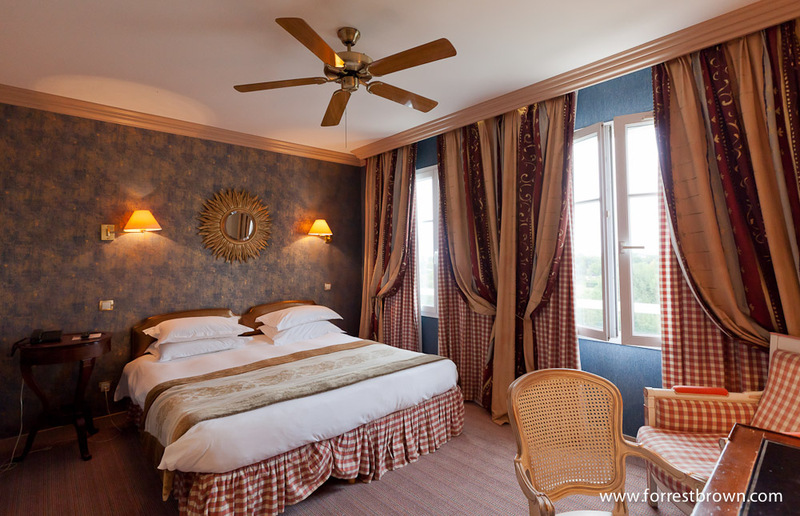 While in France I stayed at several different hotels in different parts of Paris and while I was driving around the French countryside. 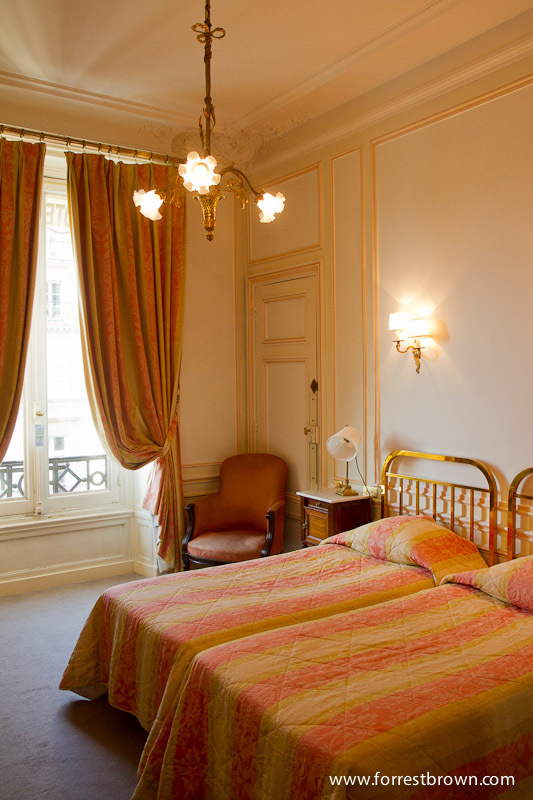 Villa Pantheon was the first hotel I stayed at when I was in Paris. Very small room that was starting to look a bit worn out. Ibis in Poitiers Sud. 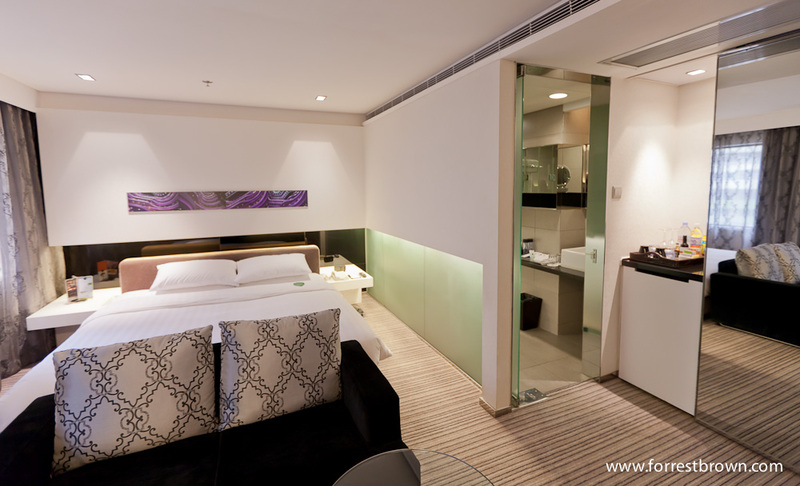 Ibis is a popular budget hotel chain. 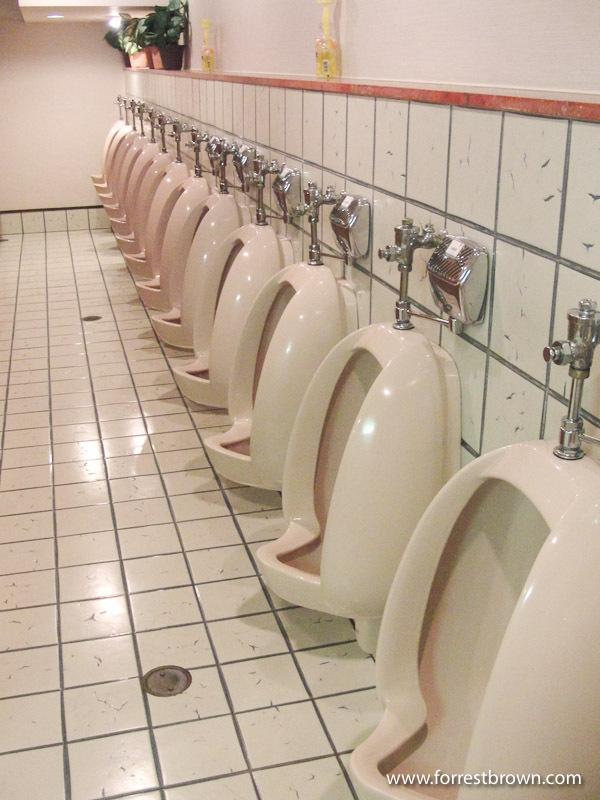 I stayed in three different ones while driving around France. Nice and fairly cheap. L' Yeuse was the closest hotel I could find to the motocross race (still almost an hour drive away). It was really nice so I was kind of sad that I really was there only to sleep. Hôtel Saint Nicolas in La Rochelle. 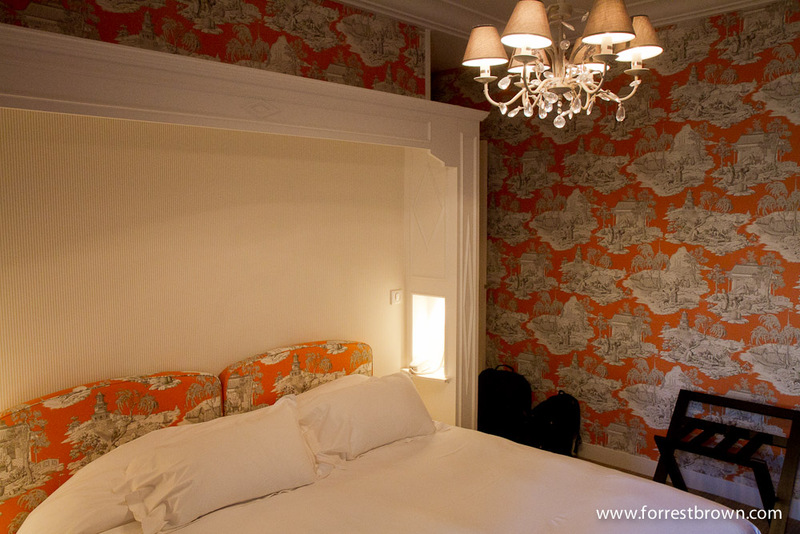 Saint Germain Hotel was decent, but under construction. 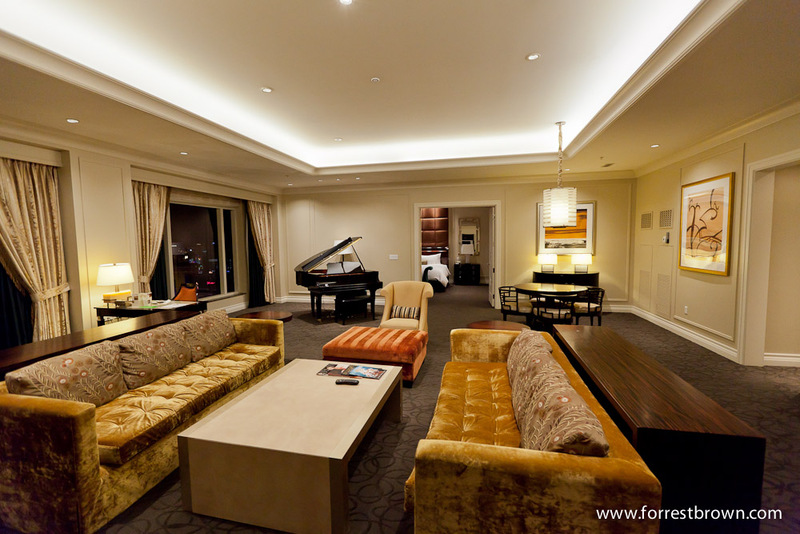 This is actually the second room I was in. 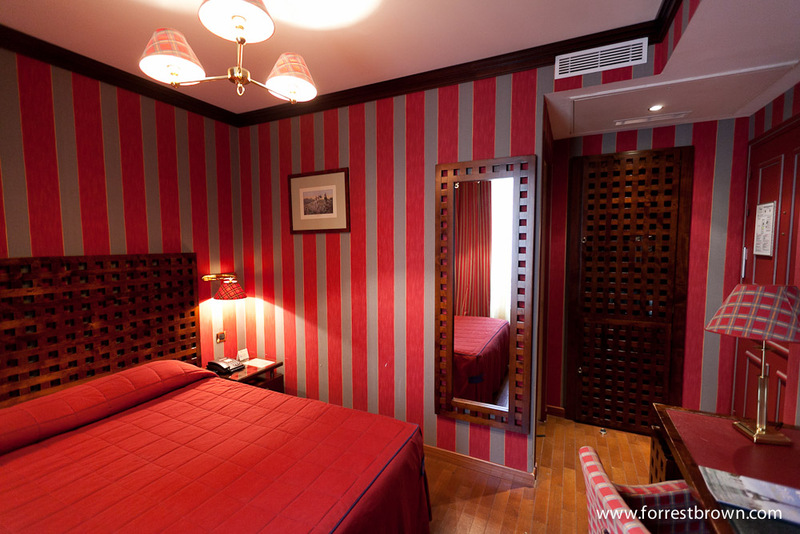 The first room was dark, a bit strange and had no wwi-fi, so I switched rooms. This room was nicer, but still no wi-fi. 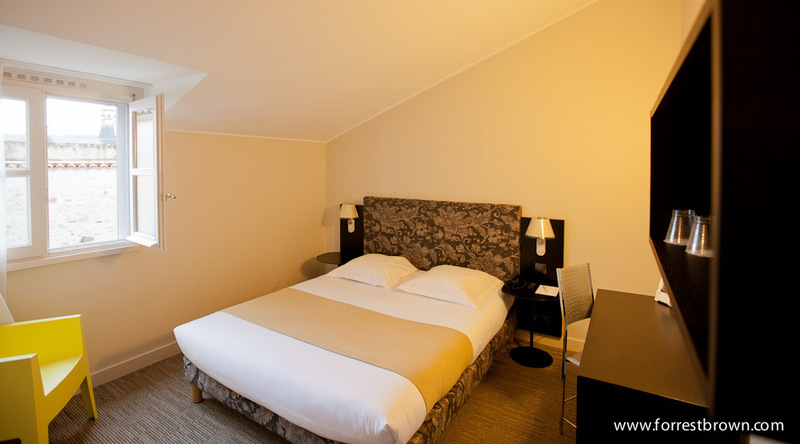 Hotel Regina in Paris. I upgraded to a room with a view. A bit pricy, but nice. 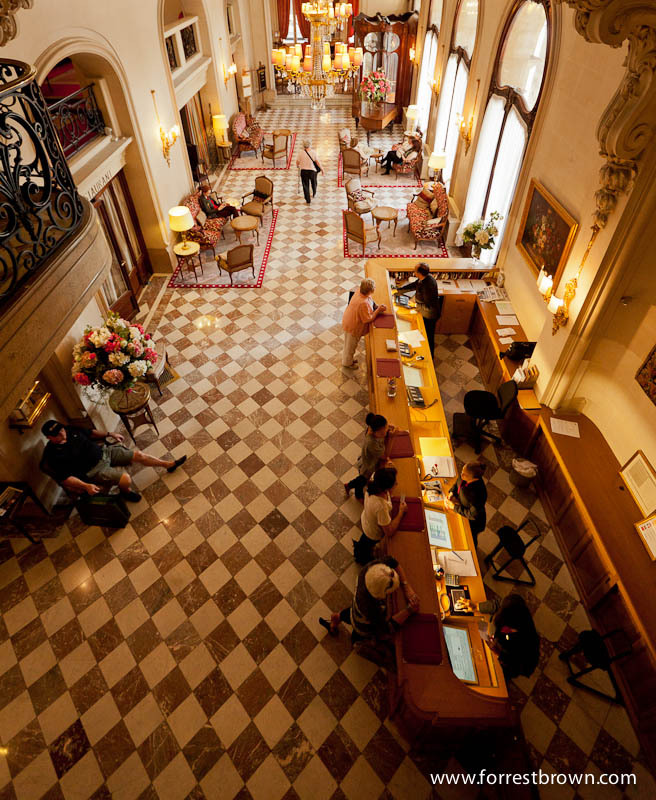 The last and the nicest hotel I stayed at in France was the Hotel Regina. Here’s a few photos I took around the lobby area. 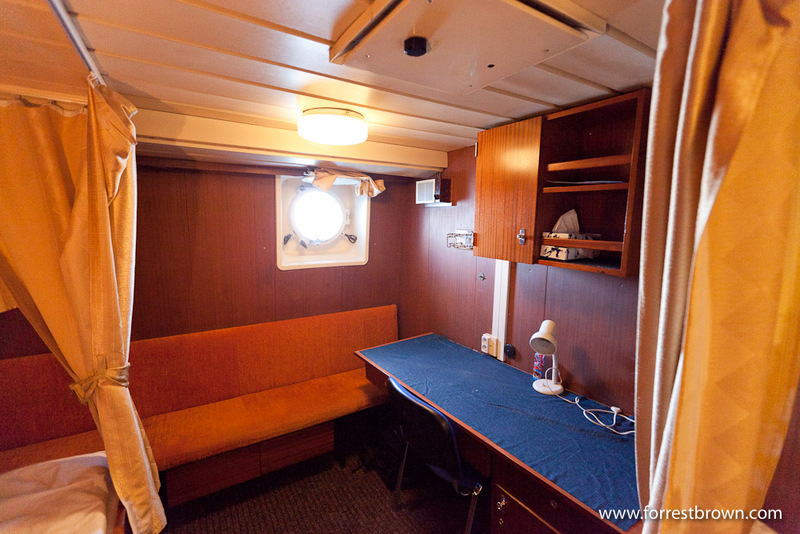 We’re still at sea heading for South Georgia Island, so I thought I would show what the cabins are like. 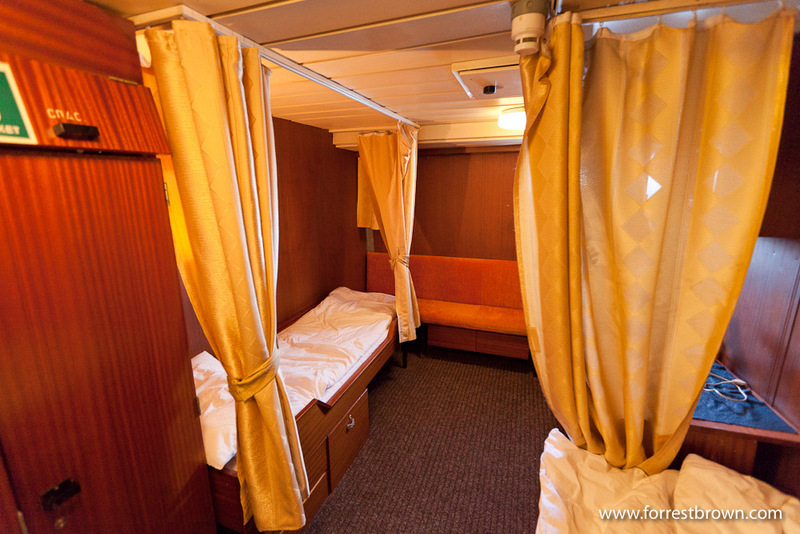 The Polar Pioneer has several different types of cabins, I’m staying in a Twin Public. So, the room has two beds (I’m sharing with Phil, one of the other Americans), a desk, storage, and a sink, but no toilet or shower. 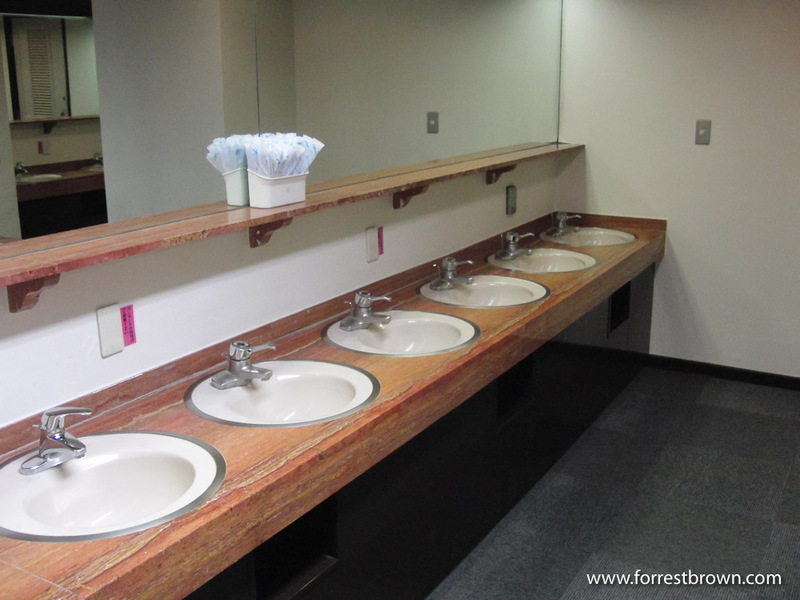 It’s not the Hyatt, but it’s clean, fairly comfortable and does the job. 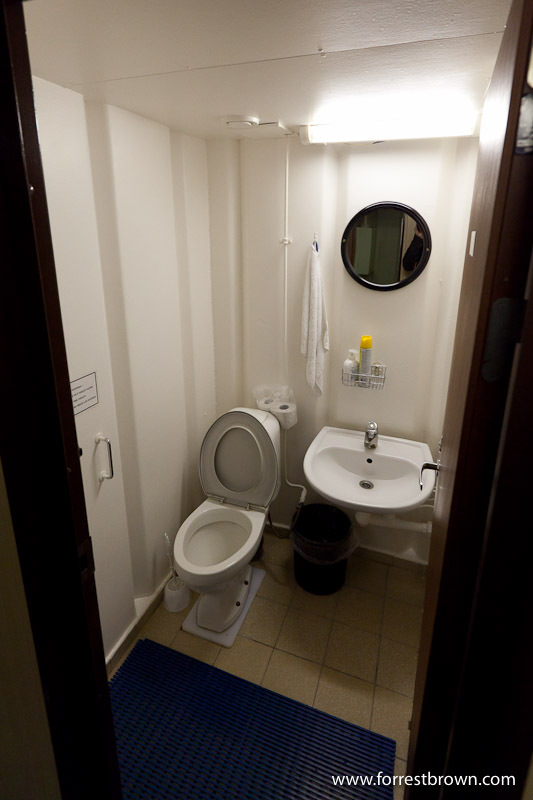 There’s six toilets and three showers along the hallway outside our room, which is plenty, there’s never really any waiting to take a shower. I had only rented my serviced apartment in Tokyo for the month of August, but I was flying back to Los Angeles on September 4th, so I needed to stay in hotels for the last couple of days before heading back home. 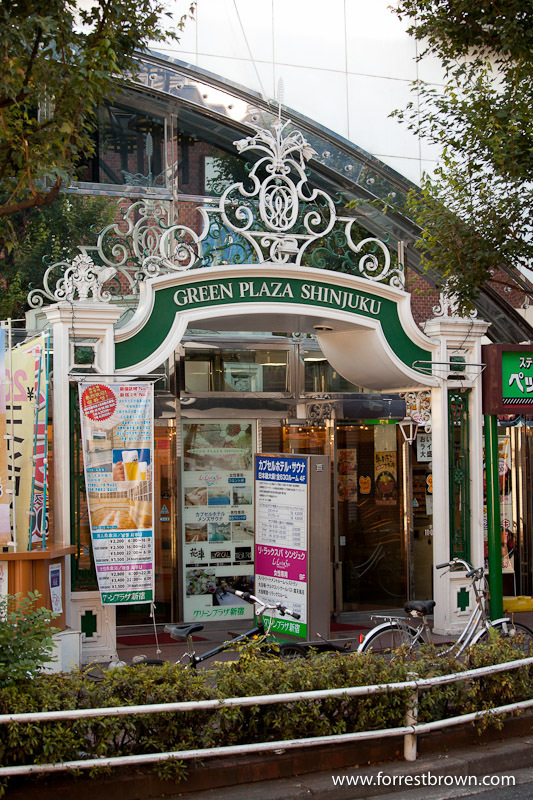 One of the hotels I decided to stay in was the Green Plaza Capsule Hotel in Shinjuku. I had heard about capsule hotels before going to Japan and they seemed like such as strange idea that I thought it would be interesting to try one for a night to see what it was like. 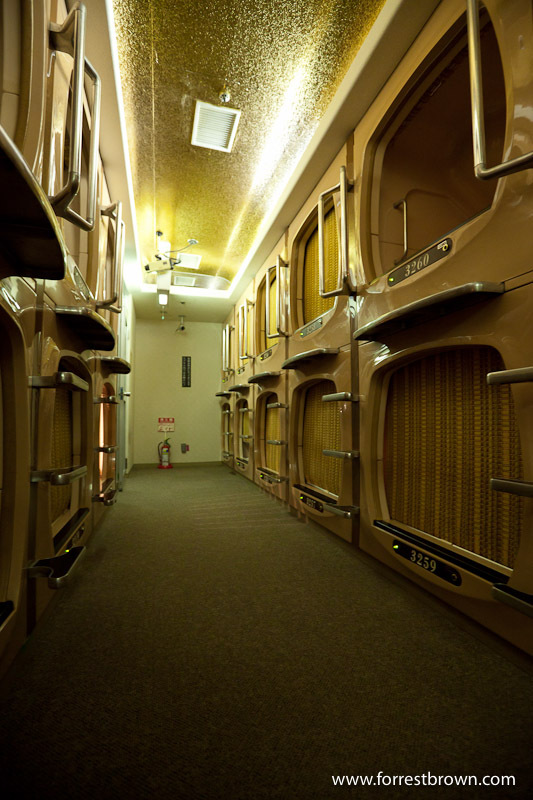 The idea behind a capsule hotel is that main reason you stay in a hotel is to sleep. 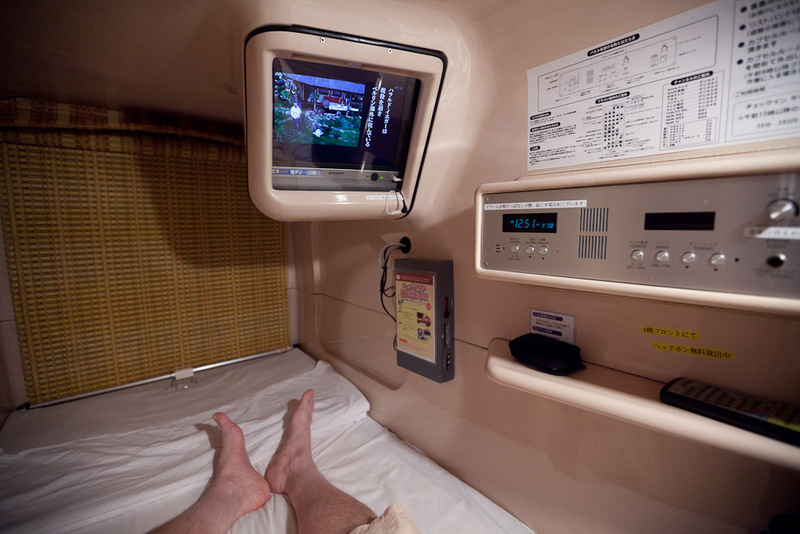 So a capsule hotel pushes that idea to the extreme, instead of a room, you just have a bed inside a small compartment, about 6 feet deep, 3 feet wide and 3 feet tall. The idea is similar to hostels, but instead of a bunch of people all sharing one big room, everyone has their own little capsule. 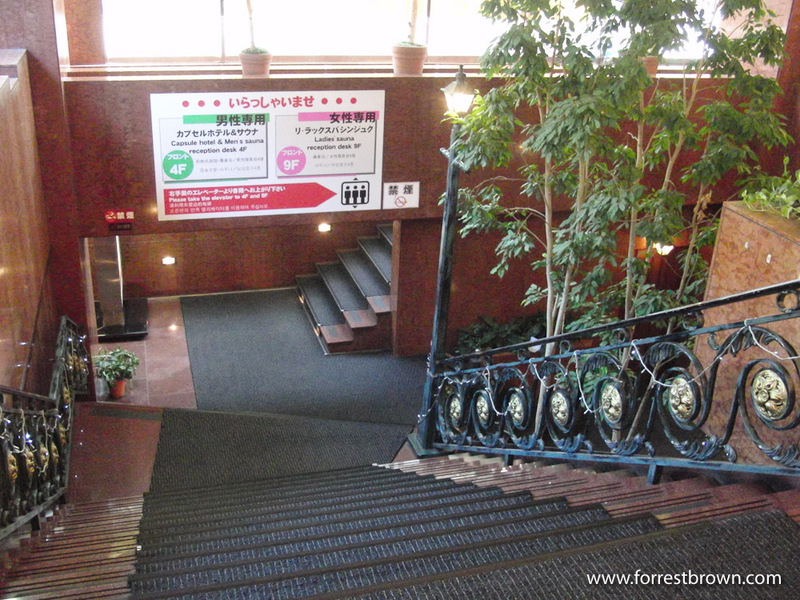 Most capsule hotels are located near busy train stations. In Japan the trains and subways only run until about midnight, so it’s fairly easy to miss the last train home if your out with friends and not paying attention to the time. Since many people live quite a ways from central Tokyo, it could be a very expensive taxi ride home. 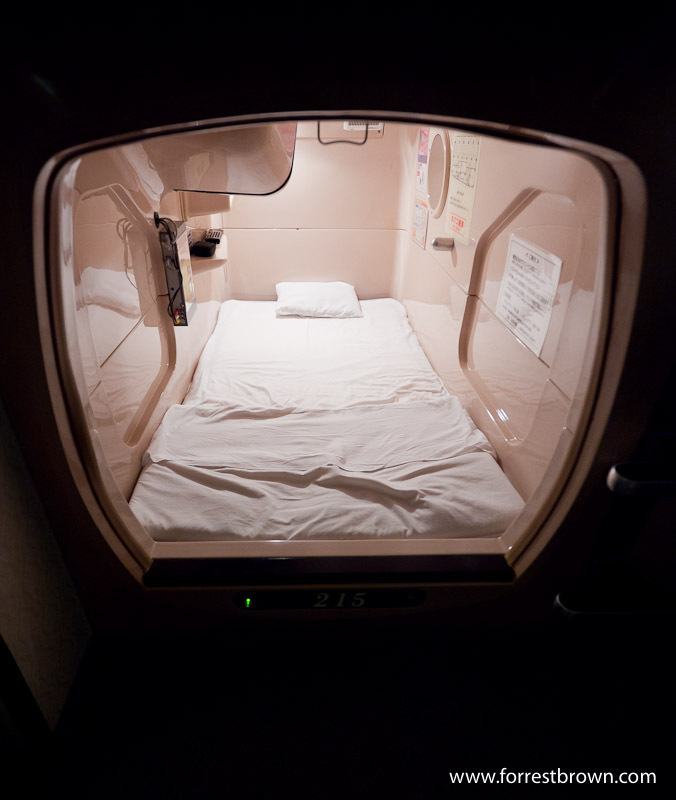 At about $45 for the night, the capsule hotel makes for a cheaper alternative. Rows of capsules. I'm not sure how many capsule there were in total, but each floor had a bunch of hallways, all lined with capsules. There's really no door in the capsules, just a curtain that you can pull down, so you can hear people walking down the hallway or snoring. Each capsule has it's own build in TV and radio. The Green Plaze Capsule Hotel in Shinjuku Japan. The hotel was not super obvious to find, I walked by it twice before realizing this was it. 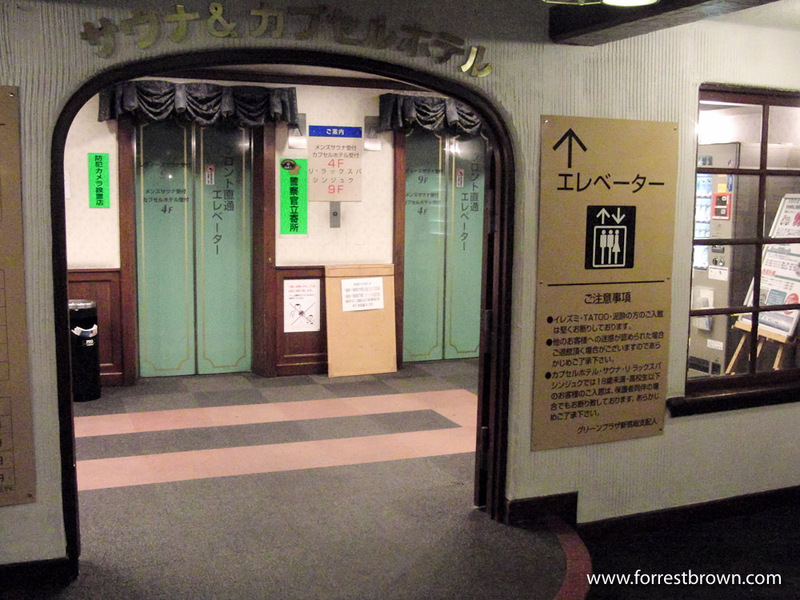 Once I fond the capsule hotel, it was still a little tricky to actually get to the check in lobby. You first had to take the stairs down to the basement. Once in the basement, you had to find the elevator in the back of the building and go to the 4th floor where the men's hotel lobby was. Women's lobby was on the 8th floor. Men and women are completely separated by floors. The sign says the people with poor posture are not allowed. 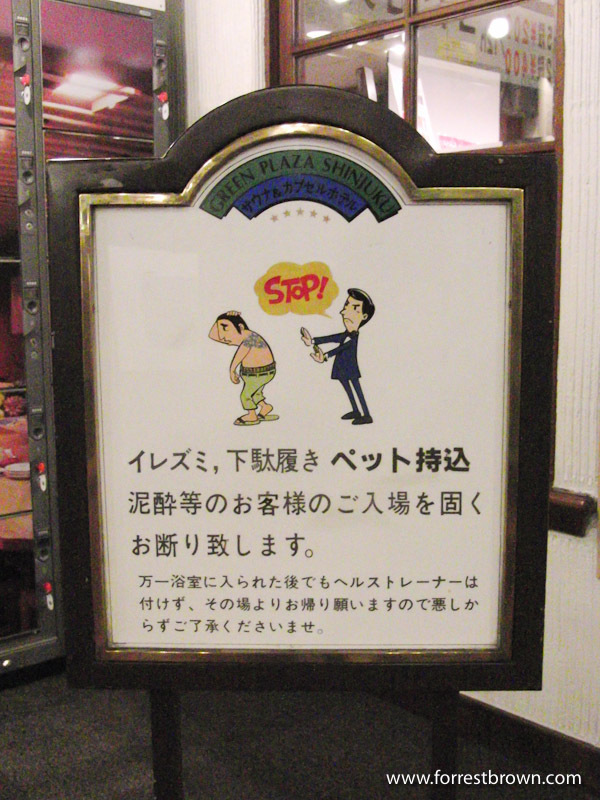 Actually, like most Onsen, you're not allowed to use this hotel if you have tattoos. 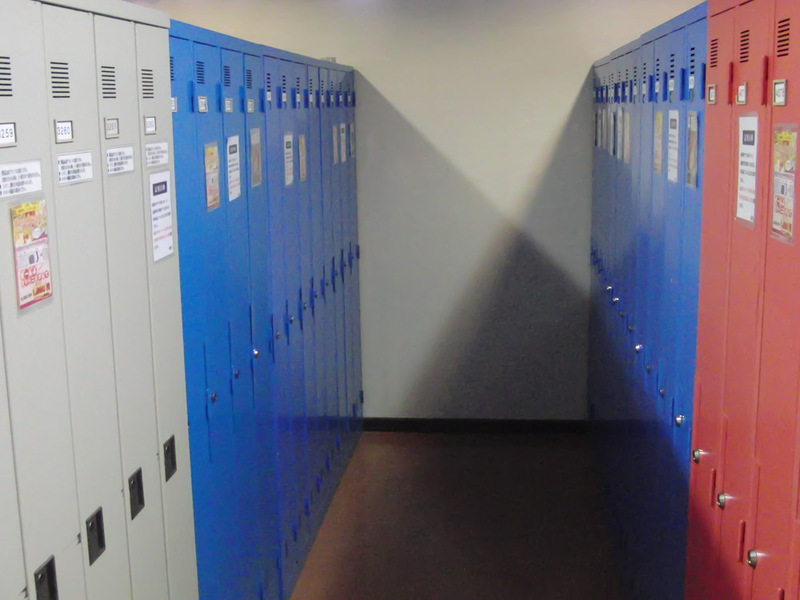 Once you get to the hotel's lobby, there are little lockers for your shoes. You first put your shoes in them. 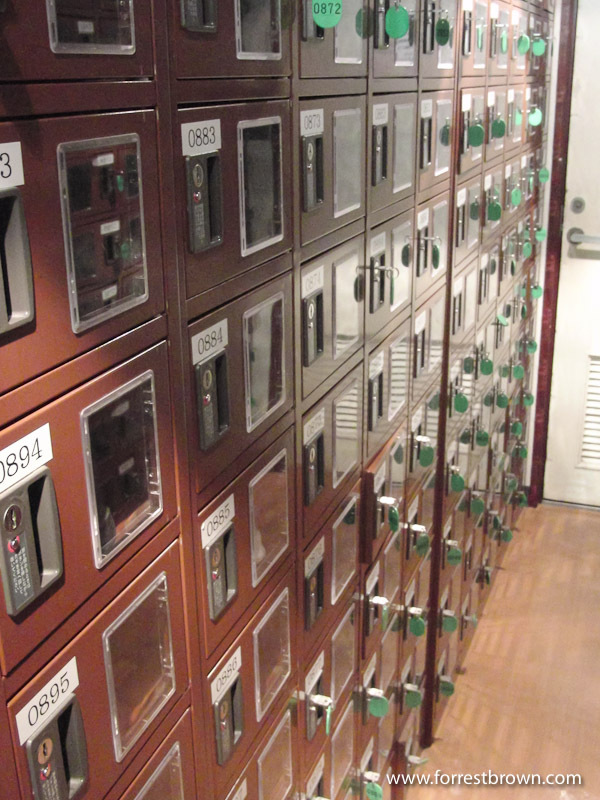 Then when you check in, you give the front desk your shoe locker key. When you check out or want to leave the hotel, you have to pay for any food you purchased in the hotel before getting your shoes back. 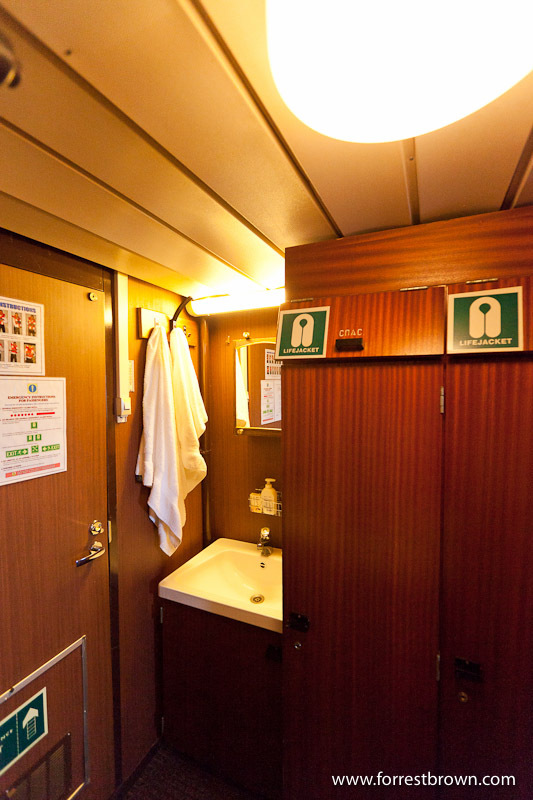 You change into the robe they gave you when you checked in and put your clothes in your locker. 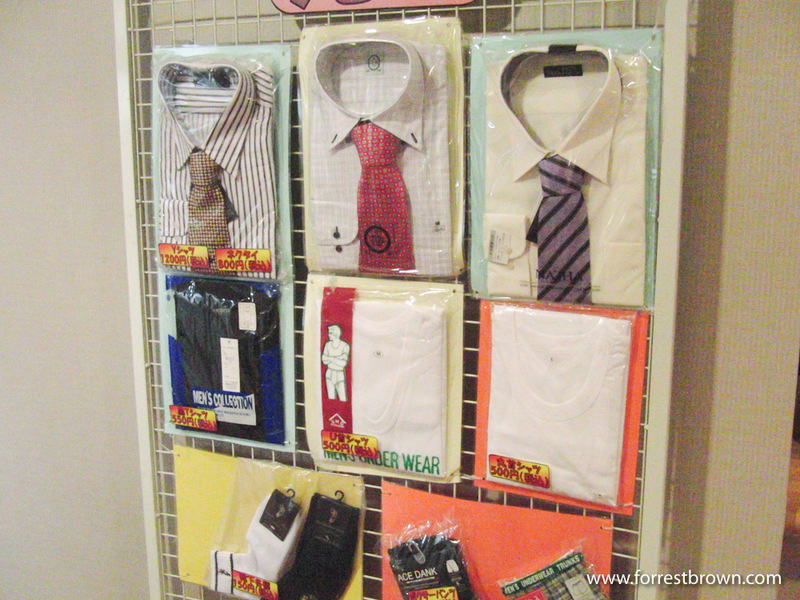 Since, one of the main clients for capsule hotels are people who stayed out too late and missed the last train home, there's a little store where you can buy whatever you need to go into work the next morning. 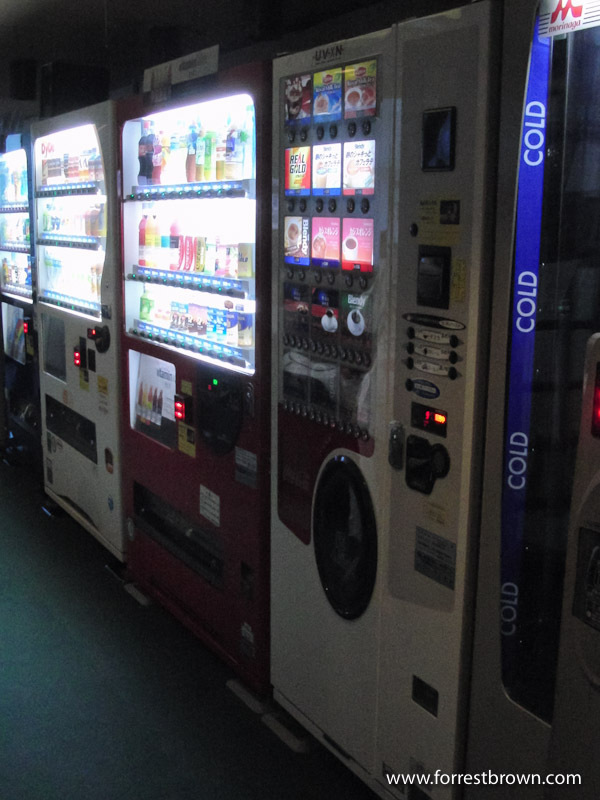 The hotels had vending machines, a restaurant, TV rooms, a massage room and an onsen. 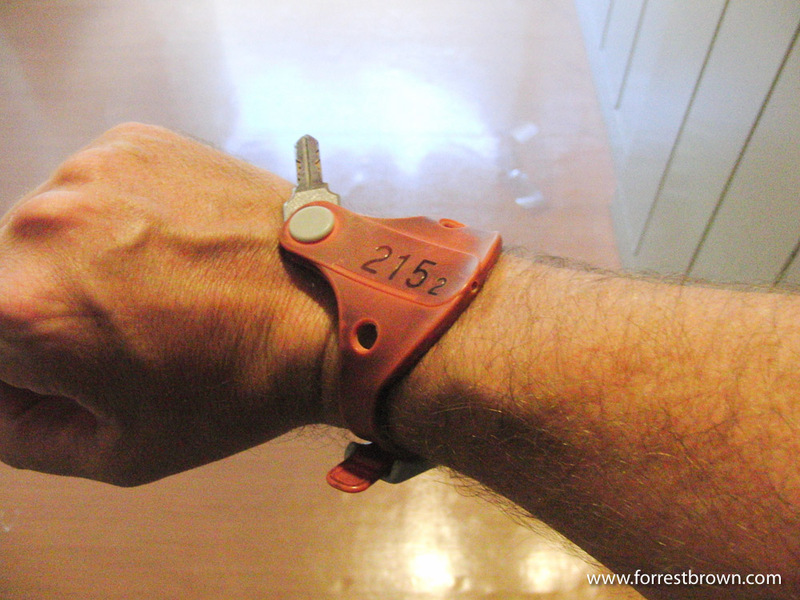 You could buy food or drinks from the restaurant or vending machines by having the bar-code on your wristband scanned. You then pay for everything when you check out. 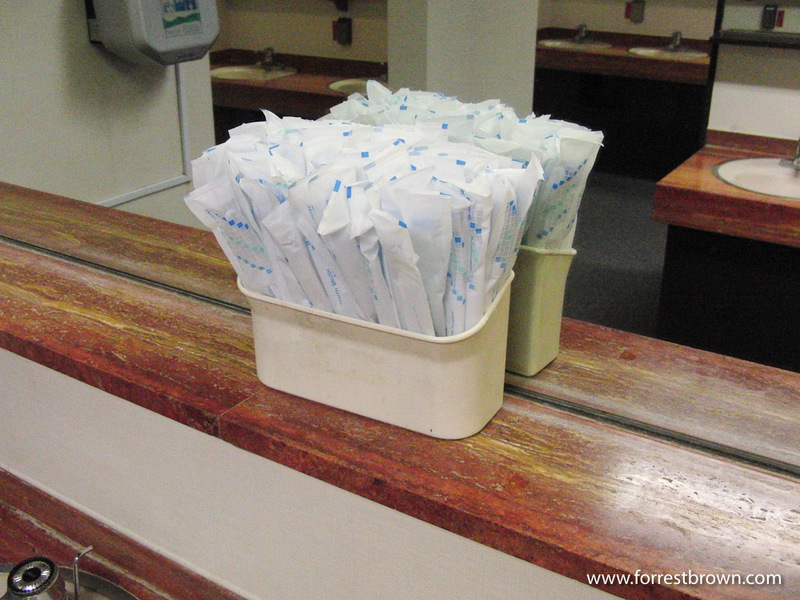 Everything you needed to stay overnight was supplied. Here's a bunch of toothbrushes. 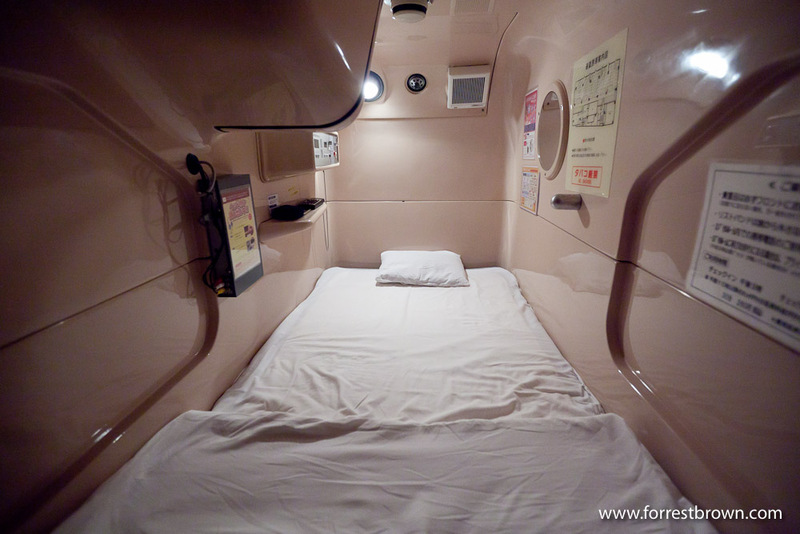 Overall my experience in the capsule hotel was pretty interesting. But, I didn’t really get a good nights sleep, the bed was just a thin cushion over the hard bottom of the capsule, so it was not very comfortable, but actually being in the capsule didn’t really bother me. 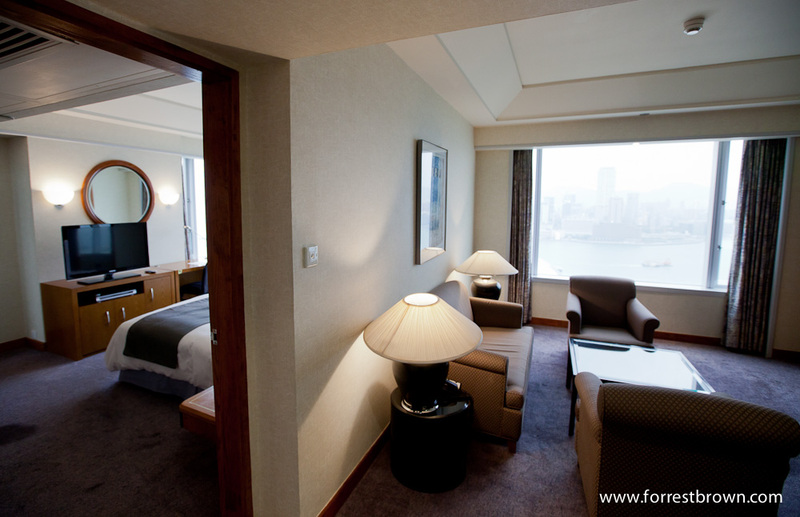 My hotel room at the Harbour Grand Hong Kong. One of the Hotels I stayed at in Hong Kong was the Empire Hotel in Causeway Bay. 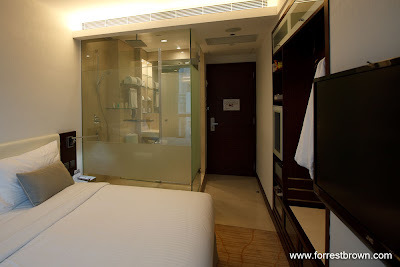 The room was very nice and had a glass wall between the shower/bathroom area and the main part of the hotel room. 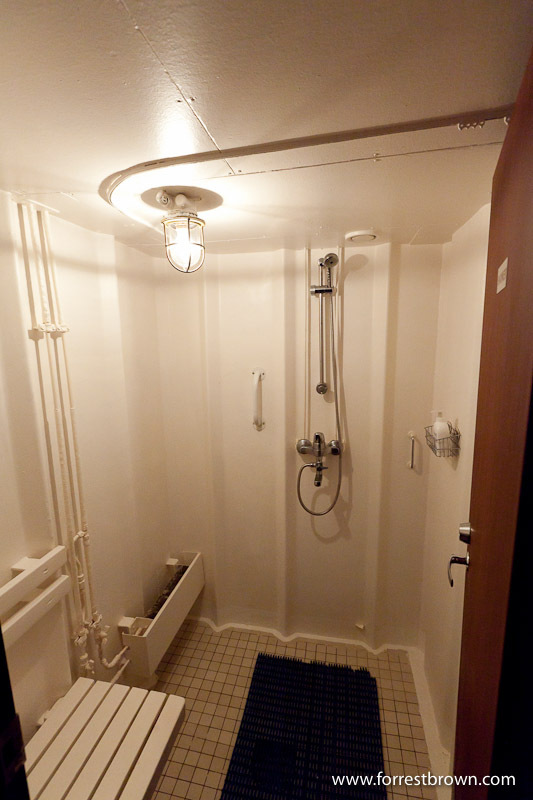 I’ve stayed in lots of hotels that had showers like that so I didn’t think it was too interesting at first. But then I realized that there was a extra light switch in the bathroom and when you flipped the switch the glass wall instantly turned a opaque white. Pretty High-Tech!